Leigh Sheneman, PhD student at MSU in CS. Evolution and learning with digital organisms, applying to real world organisms in the future! 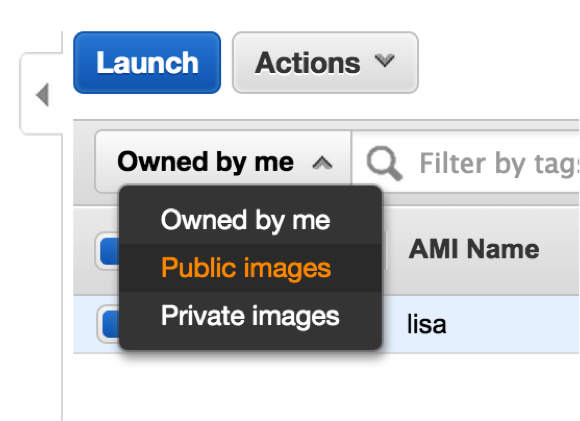 We’re going to make public AMI, for times if we wanted to share and distribute to colleagues for collaboration. Efficient way to capture OS and software, can terminate instance and keep AMI and only get charged fraction of cost (about $0.10 per month/GB) rather than keeping instance running. 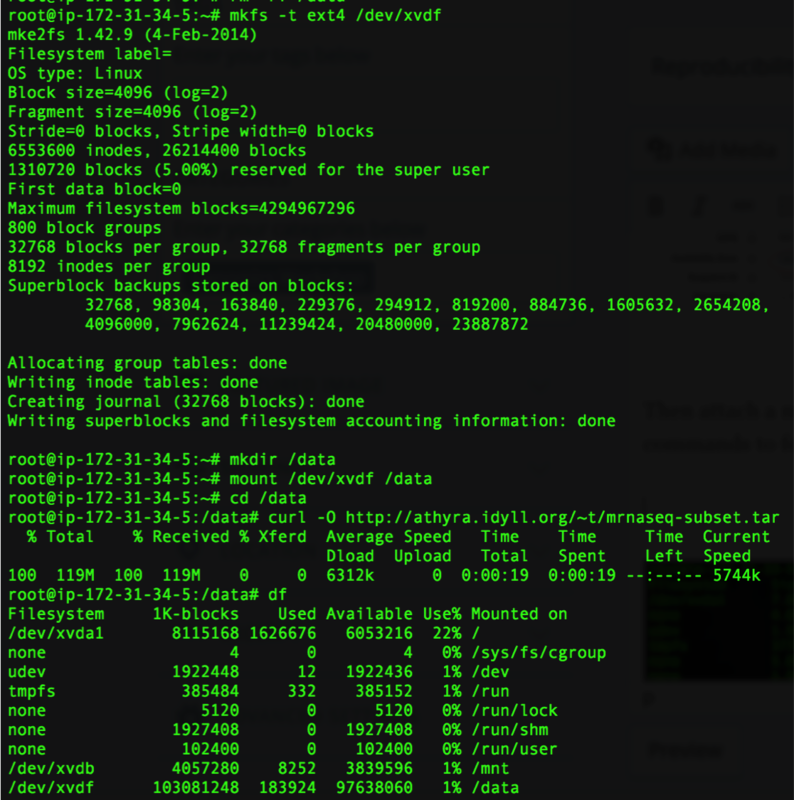 Snapshot is for volume of data rather than image, which is OS filesystem. 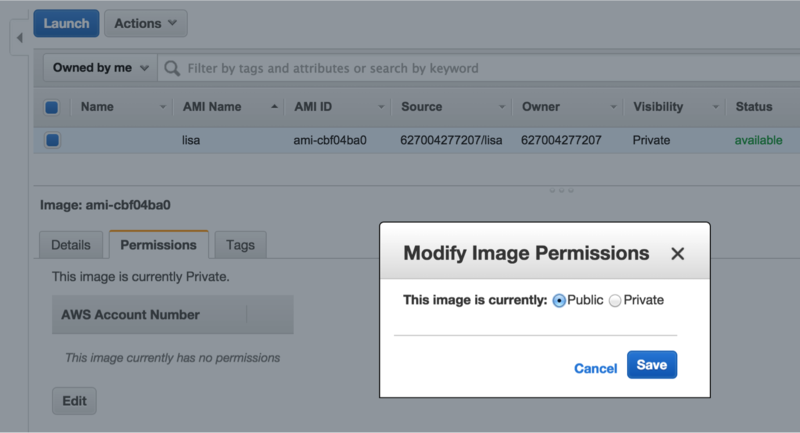 Change permissions so you are not the only owner. Since we want to make public. Takes some time to make this public. 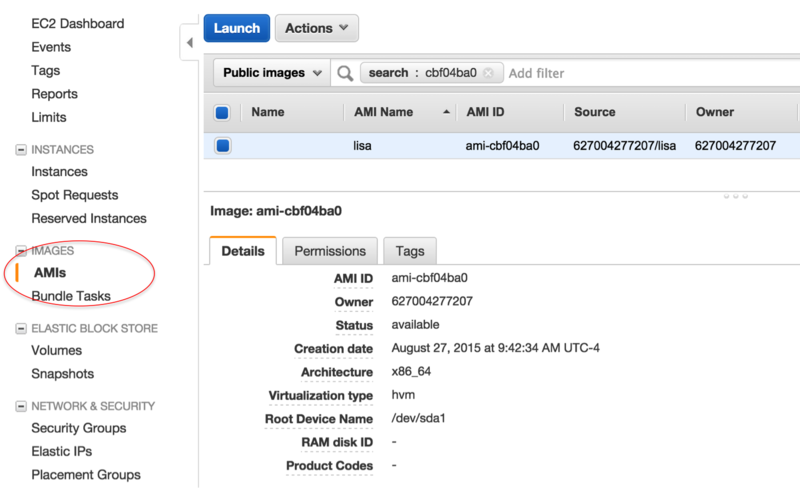 So, wait a bit before sharing AMI-ID. Important, this image was created in the ‘N. Virginia’ region. This image is only visible in the ‘N. Virginia’ region. There are other ways to share between regions. 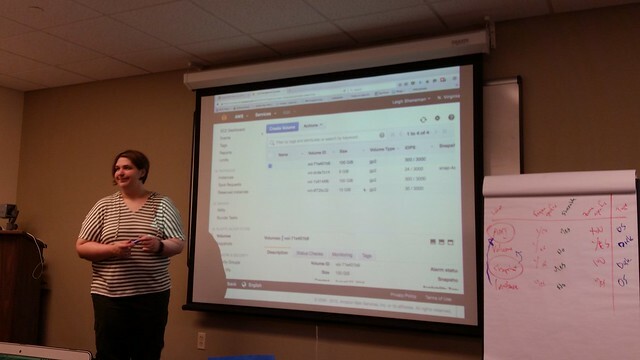 Class discussion about costs for hosting images and sharing images associated with publications. Who pays? If reviewers of papers will need the images, how does that work? It is easy to share data and software associated with analyses for studies. We can provide all the instructions and data and software we want. But no one has figured out a realistic and sustainable management framework for computing resources for scientific studies. Reproducibility is of concern, but there are no incentives for scientists to provide data and transparent analyses via methods like AWS AMI to demonstrate reproducibility. If this were required for publication, there would likely be more funding resources available and everyone would do this instead of a select few. Now, people can provide stuff like this, but who is really going out and checking other peoples’ data and code and software, besides reviewers and few colleagues? 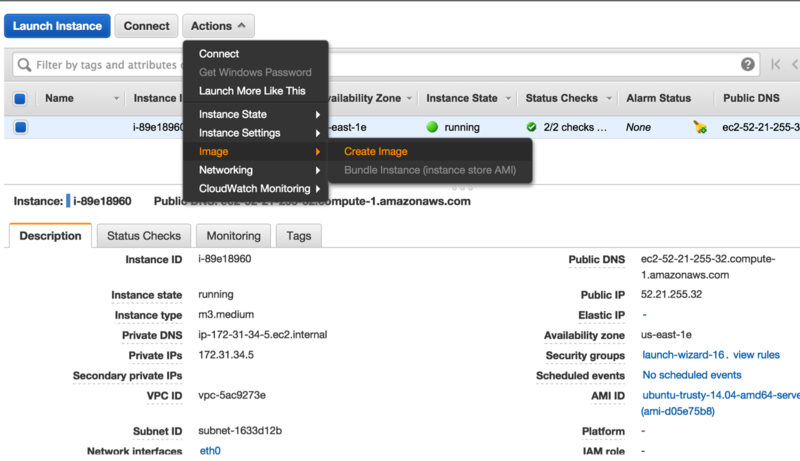 See elastic cloud computing manual for Amazon Web Services: AMI, Volume, Snapshot, and Instances. If creating an image for someone else, you would do the above where we took an image of an OS and a snapshot of a volume. 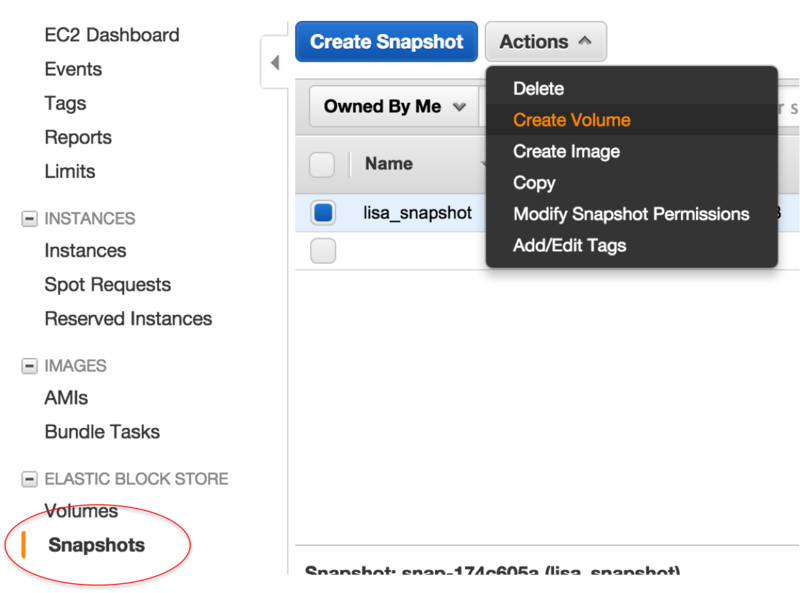 Then, create a volume from the snapshot to add to the running instance. 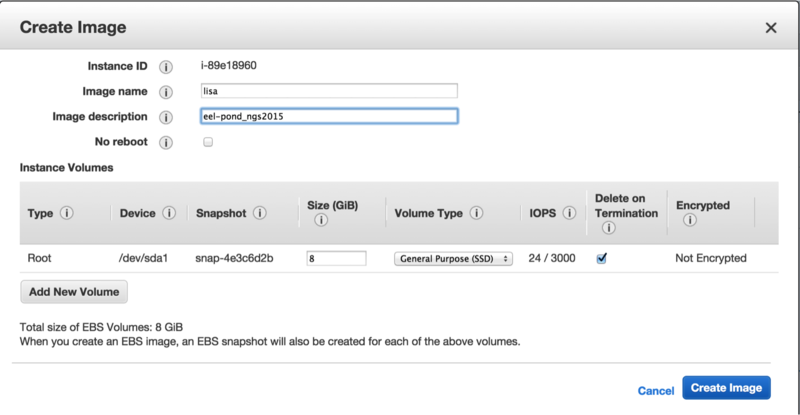 Under “Actions”, attach volume and select the running instance (should pop up once you start typing). Log in, then mount volume (do not format new volume because this contains the data! ), and it is there!! If you wanted to host files for others to download, $0.10/GB per month. This entry was posted in Genomics Workshop, reproducibility, workshops. Bookmark the permalink.